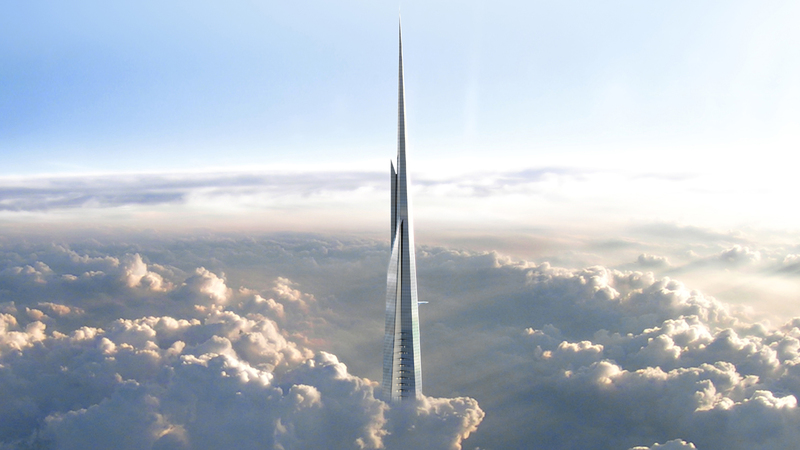 Construction of Adrian Smith + Gordon Gill Architecture's Jeddah Tower in Saudi Arabia, which is expected to become the world's tallest building, is back on track after delays. According to local paper Times of Oman, the project had experienced delays, but construction is now progressing. "We have faced delays. In projects of this magnitude you always have delays – I hope we'll recover the delays we've had," Mounib Hammoud, chief executive of developer Jeddah Economic Company (JEC), told the Times of Oman. When complete, the skyscraper in Jeddah will rise at least 1,000 metres (3,281 feet), overtaking the 828-metre-tall (2,716 feet) Burj Khalifa in Dubai, which is currently the tallest building in the world. Adrian Smith + Gordon Gill Architecture first revealed images of the building, previously known as the Kingdom Tower, in 2011. Construction of the record-breaking project began in 2013. The tower will contain a Four Seasons hotel, serviced apartments, office space, luxury condominiums and the world’s highest observatory. Hisham Jomah, chief development officer at JEC, confirmed to the Times of Oman that technical issues with the concrete had meant that alterations to the design had to be made, which had delayed construction. "Between theory and application, what has been designed and what is actually on site – that is quite another world," Jomah said. The skyscraper is being built by main contractor Saudi Binladin Group, with Mace and Arcadis acting as project managers. Construction had reached 63rd floor at the time of the last report. The concrete structural core and external cladding is expected to be completed in 2019, with the building set to open the following year. Skyscraper experts Adrian Smith and Gordon Gill established their firm in 2006. Before setting up the practice, the pair worked at SOM, working on projects including the Burj Khalifa, Trump Tower Chicago and London's Broadgate Tower. Despite their range of high-rise projects, the pair previously dismissed claims that the era of the "megatall" skyscraper was beginning. Visualisations by Adrian Smith + Gordon Gill Architecture/Jeddah Economic Company.